We have all been affected by the recent wildfires that devastated Sonoma County. 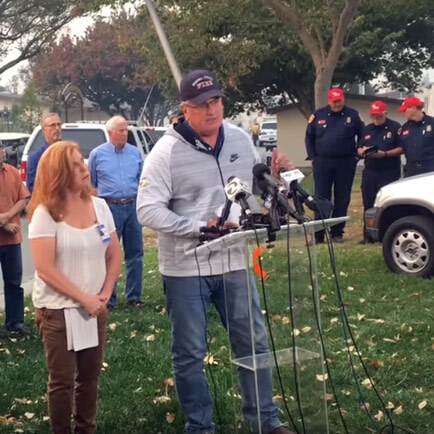 While the 2nd District was largely out of harm’s way, we’ve seen thousands of homes and businesses, along with the livelihoods of those who resided or worked there, destroyed by the fire, along with community staples such as Clover Stornetta on Fremont Drive and the Fountaingrove Round Barn in Santa Rosa. The ripple effects of this tragedy are still unfolding, whether it be to our housing, to our economy, and to the health and well-being of our residents. As we confront these challenges, I am more committed than ever to work with you and all our residents to build a more resilient future for Sonoma County, while addressing the many other quality-of-life issues that make Sonoma County such a remarkable place. I could not be more proud of the outpouring of love and support we’ve seen in the darkest of times, and stand with you to ensure we continue to be #SonomaCountyStrong.